GRCVB&apos;s director of services Julie Brakenbury, CGSP®, has a heart for making sure that visitors to Raleigh and Wake County have full access to all of our attractions, assets and services. Here she answers three important questions about this issue. From your standpoint as director of services, what kinds of accessibility issues do you think we need to be working on in Wake County? We have a long way to go to make our hospitality community aware of what “accessibility” is. Recognizing accessibility issues is critical. What does a visitor with accessibility needs look like? If you ask a group that question, you’d most likely get the predictable answers like when a person arrives in a wheelchair. But can you always tell if a visitor is blind or cannot hear? What about someone with autism who needs a quiet space to retreat amid a busy, loud conference or convention floor? We all need much education about how to recognize the needs of visitors. Are all accessibility challenges physical? If we aren’t training hospitality employees to recognize the needs, we cannot appropriately service those needs. We have hospitality partners who are rising to the challenge to train staff appropriately, but we have much more room for growth in this area. Reading that article helped me to realize that great destinations strive to provide great experiences to all visitors, regardless of their abilities (or lack thereof), their ages, genders or ethnicities etc. Essentially anything that keeps a visitor from being able to explore and experience Raleigh, N.C., is an accessibility issue. So it falls on all of us under the umbrella of “tourism” to educate ourselves and to develop adequate accessibility services to visitors who need them. Have you seen examples of great accessibility services here in Wake County? PNC Arena shines in recent accessibility developments with its launch of a Sensory Inclusion Program as a part of the arena’s ADA services. The N.C. Museum of Natural Sciences was one of the first visitor attractions locally (and first museum nationally) to offer Bluetooth iBeacon technology and a free mobile app, to allow for independent wayfinding and navigation of the Nature Research Center for visitors with vision loss. The Office of Raleigh Arts has worked through its grants program to develop the Arts Learning Community for Universal Access. 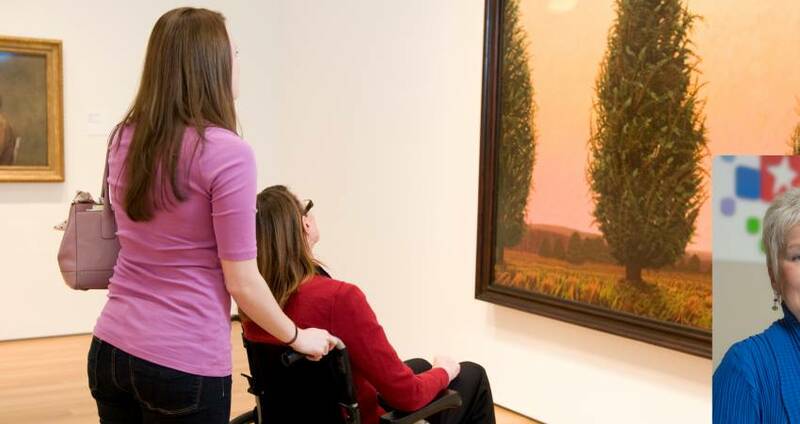 This effort, in partnership with the United Arts Council, is for arts organizations to grow awareness and develop the ability to include more people with disabilities in their programming. More and more events here are growing their accessibility services for attendees. Two great examples include the annual Raleigh festivals SPARKcon and PNC presents Wide Open Bluegrass. Services include sighted guides, translation services, ADA seating areas, quiet spaces for those on the autism spectrum, offerings of accessibility guidance in advance of arrival and more. Raleigh Convention Center provides considerable accessibility information on its website, including information about its gender-neutral restrooms, which was a significant asset particularly after passage of N. C.&apos;s HB2 law (now repealed). Have you seen examples of great accessibility in other destinations that you have visited? Surprisingly, not in as many as I’d hope! Of course, ADA laws mandate certain provisions, but the destinations that shine in this area are only beginning to emerge. Theme parks have really risen to a higher level of accessibility in recent years and do a stellar job of accommodating visitors of varying needs; Disney has long led the way. But the fact that there is much work to be done in the area of accessibility does present an interesting opportunity for Raleigh. We have made good progress, and with education, development of new resources and getting information to visitors in advance of their arrivals, accessibility can become a true differentiator for us in our destination&apos;s future.